I picked this one up at a local nursery in Wollongong. It had really really nice natural taper and some branches to work with. The soil in the pot above was almost like mud. No good. First I re potted it into a new blue pot. It’s about the size of my fist. 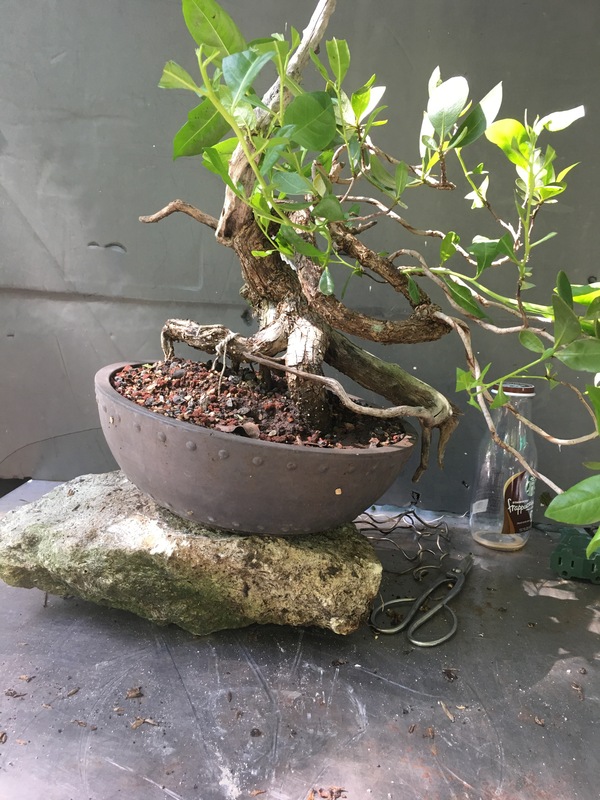 I potted straight into this pot as I was happy with the trunk size/shape and wanted to refine the canopy more than anything else. At this point i’m starting to learn a little 😉 This was back in August 2015. Next thing to do was wire those branches into shape and give it a good trim. 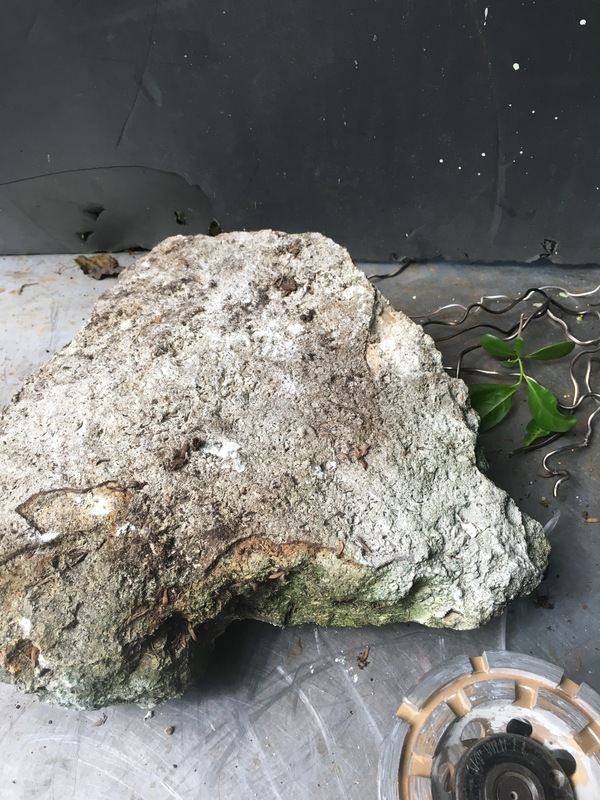 Making a bonsai grow its roots over a rock is sometimes a good way to introduce style and creativity to a tree. 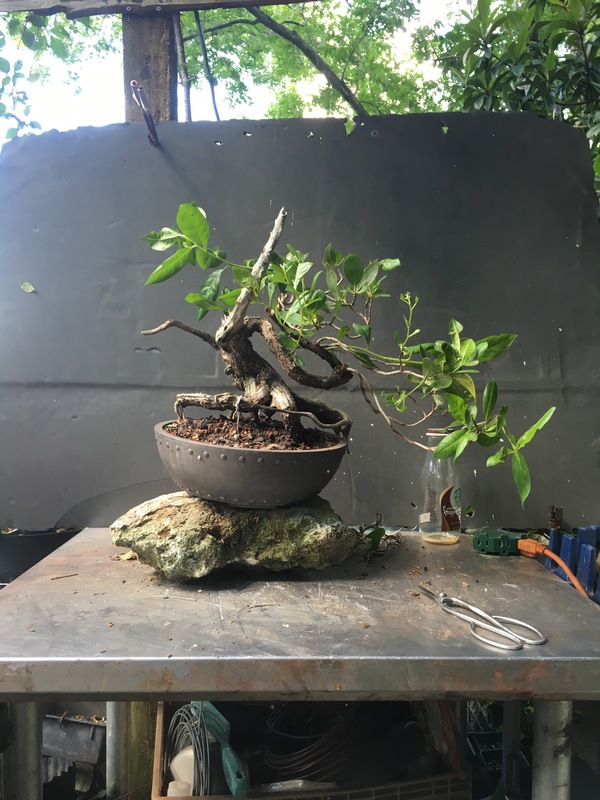 It can take anywhere from a year to two to do this technique and can be done with young or old trees. 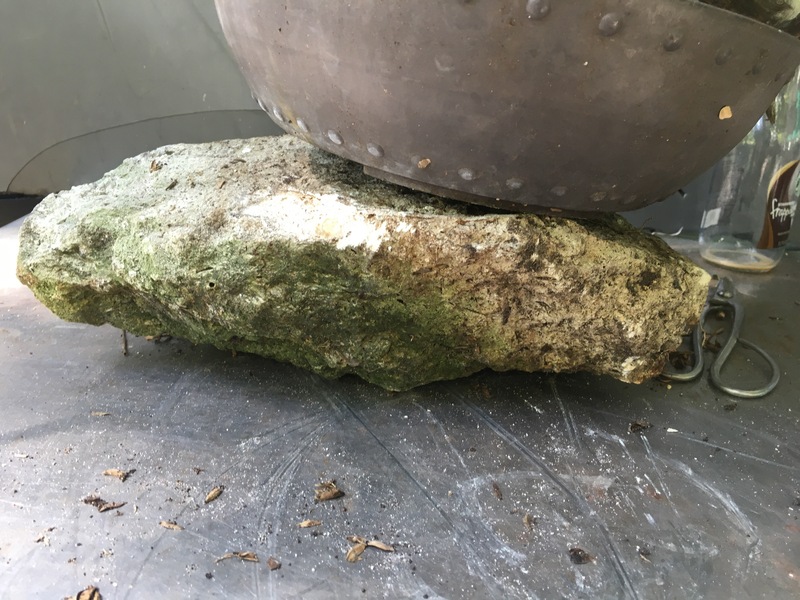 Any rock or material can be used to grow the tree on, as long as it is porous or complex enough for the roots to wrap around and get a good hold. Here is a ficus microcarpa my Grandma gave to me after she found it in her church yard. It had very little roots and took ages to become established again. This is in early 2015 when I didn’t know too much about soil and thus was keeping this one in poorly drained high organic material. So well then you finally go to Japan like you dreamt about for the majority of your mature life. Obviously seeing bonsai and gardens is a big part. Me, being the retard I am, off course had to go to Omiya on the ONE day in the week everything is closed there. I could hit myself. So what is left then? A nice little temple with ants that tried to eat me. World class Bonsai standing in the street completely unguarded. One nursery my very bold girlfriend talked us into, me being way to modest (I prefer Japanised) to be so blunt myself, and being so retarded (again) to completely forget remembering his name. He was a famous one too even! Saw quite a few “important bonsai masterpiece” tags. Yes I’m still hitting myself, trust me. 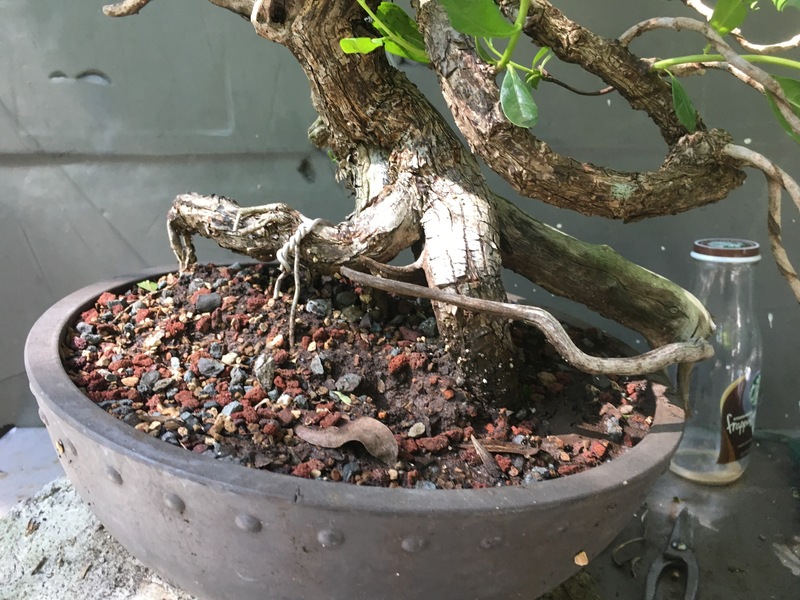 An absolutely unreal Nebari on this trident Maple. This is a small Rocky Mountain Juniper which its owner has nicknamed ‘Twisty.’ We were joking that this is not unlike calling your cat ‘Kitty’… simple, obvious, and hard to forget. ‘Twisty’, the Rocky Mountain Juniper undergoing a bit of primping, sweet talking, and coddling this past week, in preparation for the National Show in early September. After primping session. (Same light, different camera…) Pot is a Chinese antique, nakawatari, roughly 150 years old. Juniper antique, North American, roughly 250 years old. 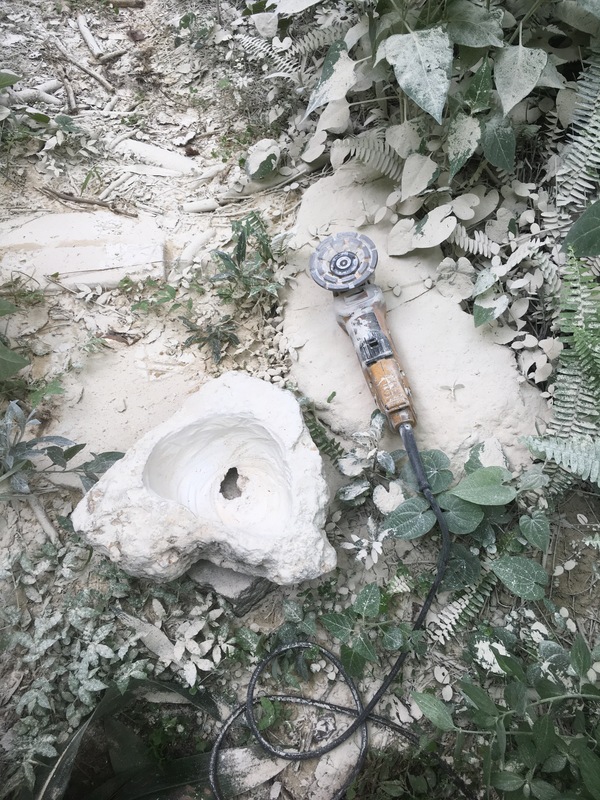 Where’s my chisel? I’m thinking that this tree needs to be in this rock. What about you? I know how to work my tool. 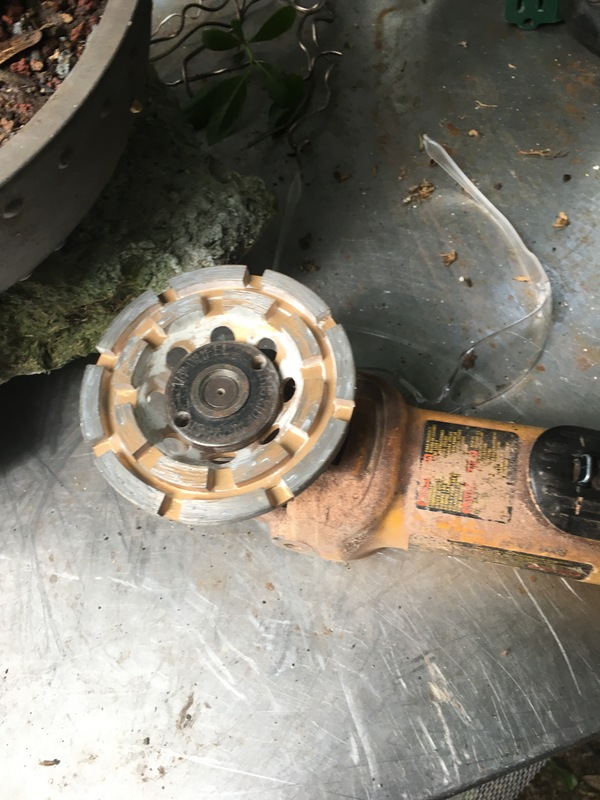 That, my friends, is a DEWALT 4 1/2 Inch Compact Small Angle Grinder – 11 Amp, 11,000 RPM, Paddle Switch, Model DWE402 sporting a 4″ diamond impregnated stone/concrete grinding cup wheel. Do not use while consuming alcoholic beverage or without ear, eye, and breathing protection!! !Jeans or leather pants are a must as well. I prefer leather cuz I’m a rockstar. Ride the snake, baby. To the lake. Fifteen minutes later…….It’s like the 1980’s all over again….. Sat watching the rain running down the window panes, heavy blatter by the Rain Gods scale (see Hitchhikers Guide to the Galaxy triology, book four I think), I started to look through my shorebird photos from Nova Scotia, all taken in 2015. I do this from time to time so that I can make a mental note of what I’d like to have a better photo of, a mental note that I then lose along with shopping instructions and turning off the heater in the bathroom after a shower. Just over a month ago, a story was posted to our website about a Rufous-tailed Scrub Robin (Rooistert-wipstert), seen at Zeekoevlei, the first time this bird has ever been seen in South Africa. The Rufous-tailed Scrub Robin (Rooistert-wipstert) at Zeekoevlei, photographed by John Bowman. Are we twitchers? Well, sort of. Sheelagh and I don’t travel vast distances to tick off new birds, but if we’re in the area where a rarity has been seen, we’ll have a good go at trying to find it. Luckily we were in Cape Town for a function a few weeks ago, and managed to find the bird quite easily. However, the first time we saw it, in my excitement my photos were terrible. The next day we got it again, but my camera battery was flat.